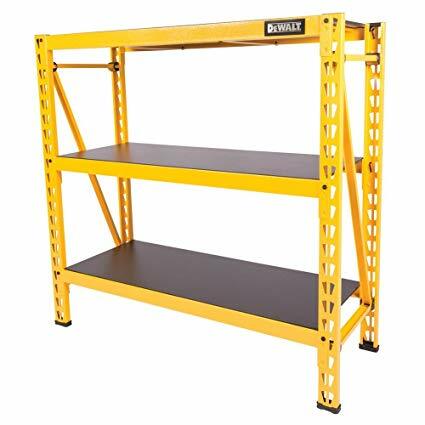 Things are getting interesting as Dewalt now has more new tools for the shop and the garage with not one but two shop stools, a bench that they call a garage bench and two industrial storage shelves with a 4 foot storage shelf and a 6 foot storage shelf. 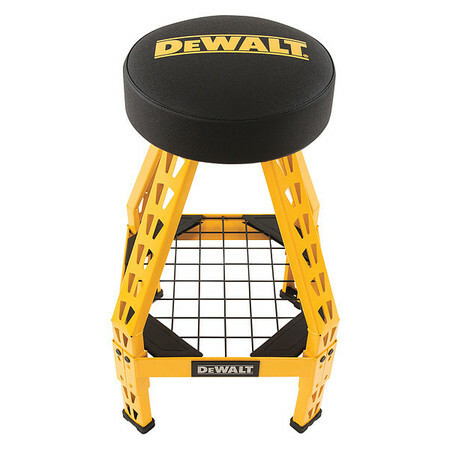 All of them are made of powder coated industrial strengh steel in the signature Dewalt yellow. One of their shop stools is called the Swivel Shop Stool model DXSTFH030 and it has a standard garage shop stool/bar stool design rated for up to 300 lbs with round vinyl padded seat cushion that swivels and 4 legs and comes with one shelf made up of large wire mesh where you could store tools, just not small items or else they’ll fall through or rest your feet on. It doesn’t have any wheels. 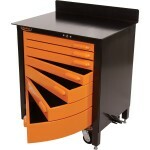 This model is priced at $99.99 and is available now. 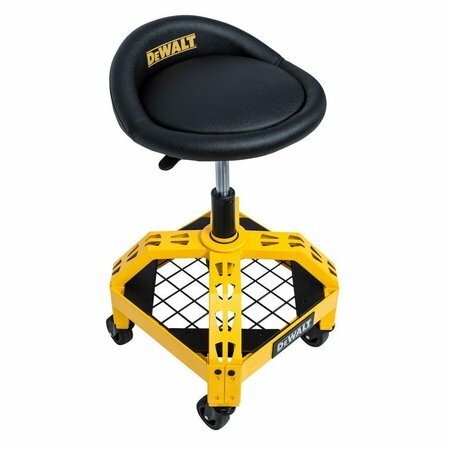 The other shop stool is called the Adjustable Shop Stool model DXSTAH025 with the same 300 lbs capacity and sits lower to the ground. It has a different shaped cushion, also covered with vinyl and swivels and it’s height can be adjusted. It also has the same wire mesh shelf underneath. 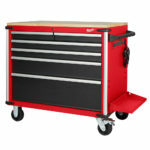 This model does have wheels (360 degree castors) for easy mobility around the shop. It’s priced at $109.99 and is available now. There’s not much to say about it, it’s a bench and has many of the same carry over features found on the two shop stools such as the comfortable high density foam padded bench covered in vinyl and has the same wire mesh storage shelf underneath, although much larger. 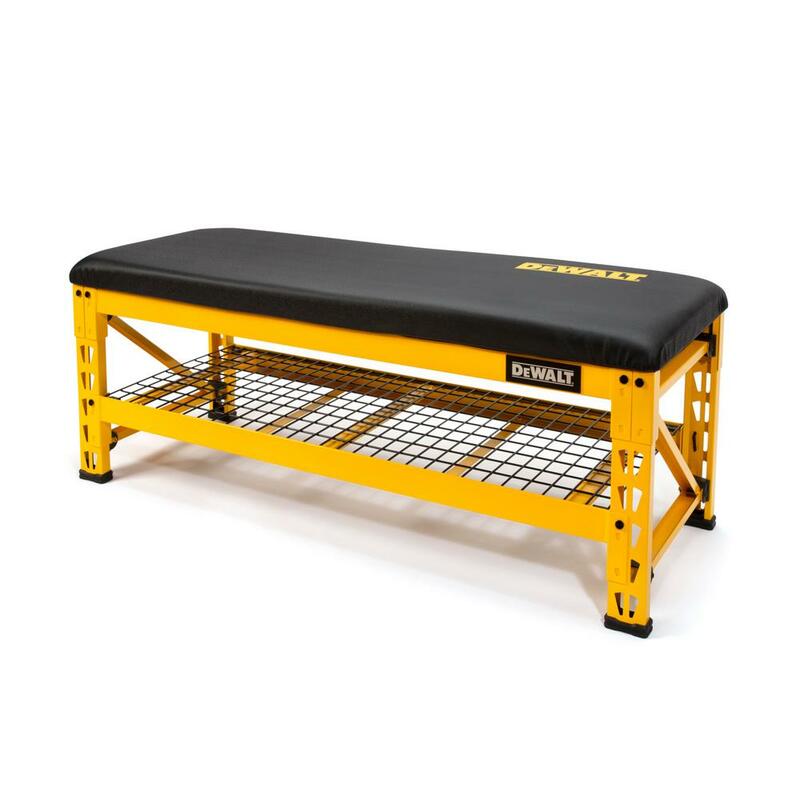 The bench top is rated for up to 1000 lbs while the storage shelf is rated for up to 1500 lbs if evenly distributed and the storage shelf height can be adjusted 2.35 in. increments. 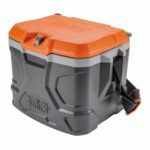 It’s priced at $139.99 and is available now. The four foot storage shelf has 3 shelves, all three of them having a black laminate wood decks can each support 1,500 lb. for a total 4,500 lb. capacity. All the shelves are adjustable in 2.35 in. increments just like the bench. The 6 foot storage shelf is taller (obviously) and larger with a total of 4 shelves. It has a 10,000 lb. 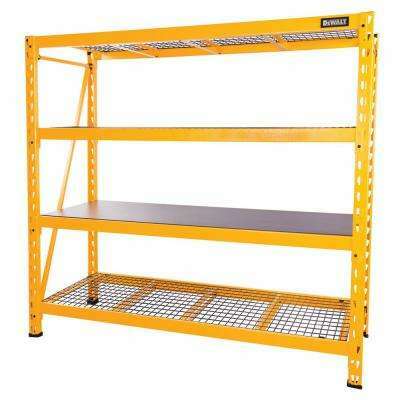 maximum capacity from 3 industrial wire grid shelves and 1 wood composite deck that can each support 2,500 lb. 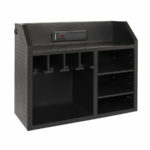 when evenly distributed with the shelf heights being fully customizable allowing each to be individually adjusted in 3 in. increments. The price for the 4 foot shelf is $99.99 and the 6 foot shelf is $239.99 and both are available now.